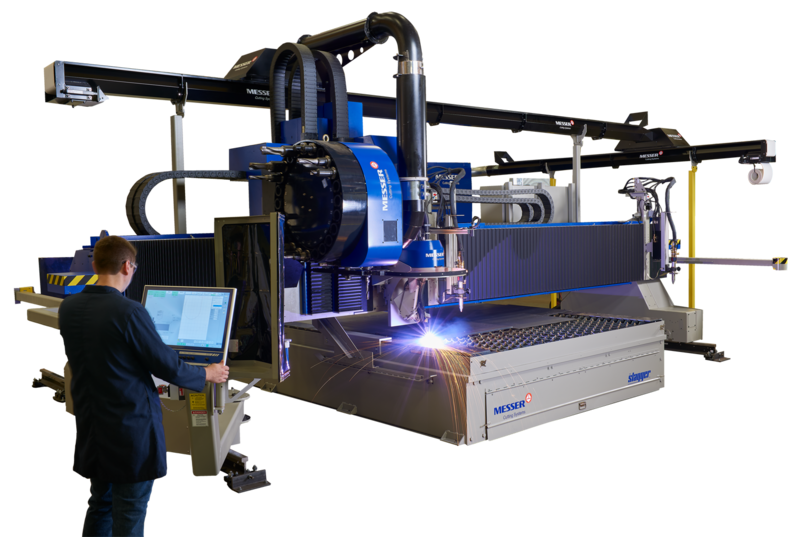 The MPC2000 MC is a multi-process Messer cutting machine that can be equipped with multiple carriages up to five separate processes including precision plasma, oxyfuel, drilling, milling and markers. The MPC2000 MC has enhanced linear ways, long-life band drives and larger end trucks. It provides high accuracy, repeatability, and durability. A total of four separate tool stations may be installed. 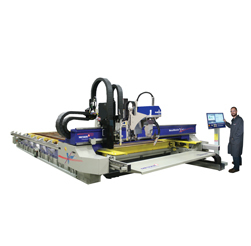 This plasma cutter delivers clean, smooth cut part edges, precise cut holes, with high accuracy and repeatability. The MPC2000 MC includes linear motion ways and state-of-the-art AC servo drives provide dependable machine tool performance. The rugged beam construction makes it tough enough to keep cutting, even through three shifts and offers the strength and stability for maximum accuracy and repeatability. 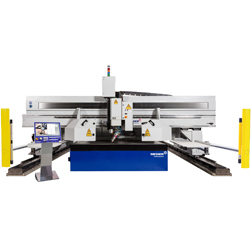 It plasma bevel cuts, oxy-fuel bevel cuts, it drills and mills and it also has chip vacuum extraction and collection. Drilling up to 2.5″ (63.5mm) diameter, and tapping up to 1 1/2″ (38.1mm) diameter. Cutting width: 12′ (3.657m) to 28′ (8.534m). 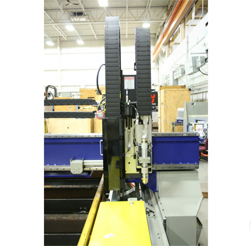 Cutting length: up to 200′ (60.69m). Material Thickness Capacity: 26 ga. to 8″ (203.2mm) dependent on process. The MPC2000 MC is designed and manufactured in the USA.